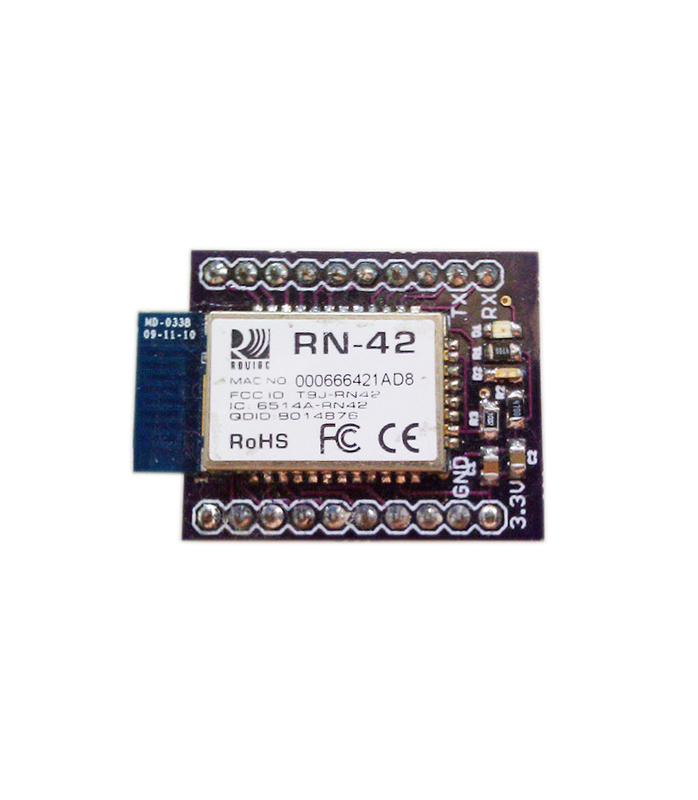 This board is based off of the RN-42 module which is very easy to use and add to your current projects. A few weeks ago I actually wrote a post on how to add Bluetooth to your MSP430 project that mentioned this breakout board. The circuit board is a modified design of SparkFun’s Bluetooth breakout board which adds status LEDs and all the passive components needed to make this board “plug and play” right into your project while keeping all the important yet non-essential pins available. The module is also small enough that it can be added to existing projects with ease. You have two options when buying this board, either completely assembled or as a bare PCB. The completely assembled board is a good option for those of you who don’t want to fuss with surface mount components, and want a guaranteed working board. The bare PCB is a great option for those of you who have no problem soldering surface mount components and who want to add Bluetooth to their project while spending as little as possible. The second product picture shows the pinout of the board, which should make it very easy for you to incorporate into your project. You just need to connect the RX, TX, 3.3V, and GND to your project, and you are ready to go. The full schematic of the board can be downloaded below. NOTE: We cannot ship assembled Bluetooth modules outside of the US. If your address is outside of the US, your order will be cancelled. We can however ship the blank Bluetooth breakout boards. Thank you for your understanding.